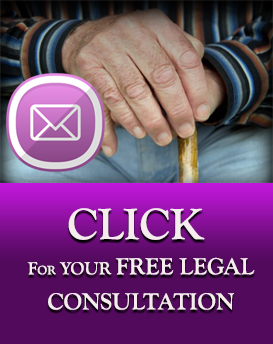 Was your loved one a victim of a choking accident at a nursing home? Making the decision to place a loved one in a nursing care facility is never easy, but when we do, we expect top quality care that includes ensuring our loved one’s needs are met responsibly. Part of providing this type of responsible care is making sure that daily activates like feeding and taking medication are properly supervised by appropriately trained staff. Sometimes this can be difficult for nursing homes that are trying to make a profit by keeping staff costs down, and when adequate supervision is not provided, a normal everyday activity like eating or taking medicine can result in serious injury and possibly death for a nursing home patient. Dysphagia is a medical term for the symptom of difficulty swallowing or moving food from the mouth to the esophagus and into the stomach. The act of swallowing is something we do everyday without even thinking twice about it. However, the act of swallowing is a very complicated process that involves many components of the head and neck. This impaired ability to swallow can lead to malnutrition, dehydration and aspiration pneumonia. As many as 9 out 10 elderly patients has some sort of difficulty swallowing. The nursing home’s speech and language pathologists are trained to assess swallowing symptoms and conditions like dysphagia. The Nursing home’s speech pathologists doesn’t just work with residents with communication problems they also specialize in upper areodigestive disorders and swallowing disorders. It is their job to determine if a resident has swallowing problems. A part of their treatment is to educate resident’s with swallowing disorders and their families about the disorder and how to manage it. What Conditions can Lead to Difficulty Swallowing? Cancer: Some types of cancer or treatments used for cancer patients can inhibit a person’s ability to swallow food. Medications: certain medications impair the ability to swallow by reducing salivary flow. Other medications cause muscle spasming in the neck, enlargement of the glands, hypersalivation, esophagitis, impaired consciousness. The following medications are known to cause dry mouth, or xerostomia, by reducing salivary flow: antidepressants, antipsychotics, antianxiety, antiarhythmics, antihistamines. Nursing home staff should be aware of the types of common conditions that are capable of causing an elderly person to develop difficulty swallowing and ensure that appropriate protocol is in place during feeding to protect an individual with such conditions. There are may signs of dysphagia and any of the following should result in a referral to a speech pathologist for a swallowing evaluation: drooling, coughing while ingesting, accumulating pockets of food in the cheeks, weight loss, dehydration, gurgling, food exiting the nostrils. A speech pathologist first needs to perform a full record review and medical history that includes current medications, a history of nutritional and respiratory problems, any complaints dealing with swallowing. An assessment of the resident’s language ability will also help determine whether or not postural strategies can be communicated to the resident so that he or she understands them and puts those strategies to use to decrease the likelihood of choking on food. A physical examination should focus on how well the resident’s lips and tongue contains food within the mouth and assists with chewing and transporting the food to the back of the throat, the palatal function should be assessed which is the ability to prevent food and liquids from entering the nose, whether the pharyngeal wall is functioning properly by transporting food through the pharynx should be reviewed, as should the resident’s laryngeal functioning which serves to protect the airway by preventing the aspiration of food. Referral for a videofluoroscopic swallow study or barium swallow study to assess the structures involved in the swallowing process should be considered. These test allow the speech pathologist to visualize the structures in the body that are used for swallowing. What About Patients Using Breathing Tubes? Some patients in nursing home facilities require the assistance of a breathing tube at various points during the day or throughout the day. This equipment must be properly maintained or it can become dangerous for a patient to use. For example, breathing tubes that become dirty or clogged can pose a serious risk to patients that require this type of machine to survive. Breathing tubes and related machines can also malfunction, which could potentially cut off a patient’s air supply. It is important that staff monitor patients requiring the assistance of a breathing tube to make sure that oxygen supply is clean and continuous and that such equipment is working properly. When Might a Nursing Home be Liable for a Choking Accident? Choking cuts off an individual’s access to oxygen. If a body does not have oxygen, serious damage and death can occur. Nursing home staff must properly monitor patients with conditions that could make them predisposed to injuries and death related to choking. Nursing home staff should also adhere to medical orders from a patient’s doctor to ensure that proper foods and medications are being used. Additionally, if an emergency arises, nursing home staff should be adequately trained to respond to choking incidents effectively in a way that prevents serious damage and death. All nursing home employees should be certified in CPR and should know what to do when a resident is choking on food. If your loved one has been injured or died from choking while in the care of a nursing home facility, that facility may be liable for damages. 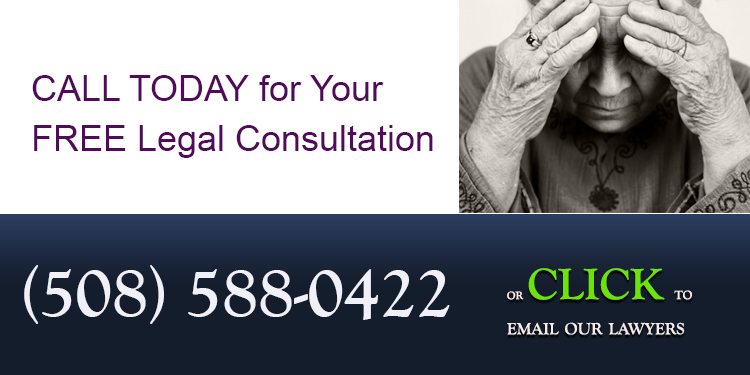 It is important to contact an attorney that can perform an investigation and help determine whether a nursing home facility may be at fault. 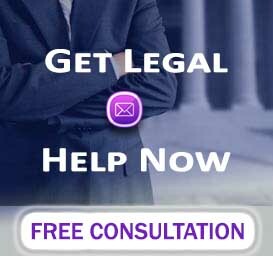 Contact our personal injury law firm today for a FREE legal consultation and we will evaluate the circumstances surrounding your loved one’s choking injury or death. Understanding what happened is the first step towards taking action to hold those who caused harm to your loved one, accountable for their actions.